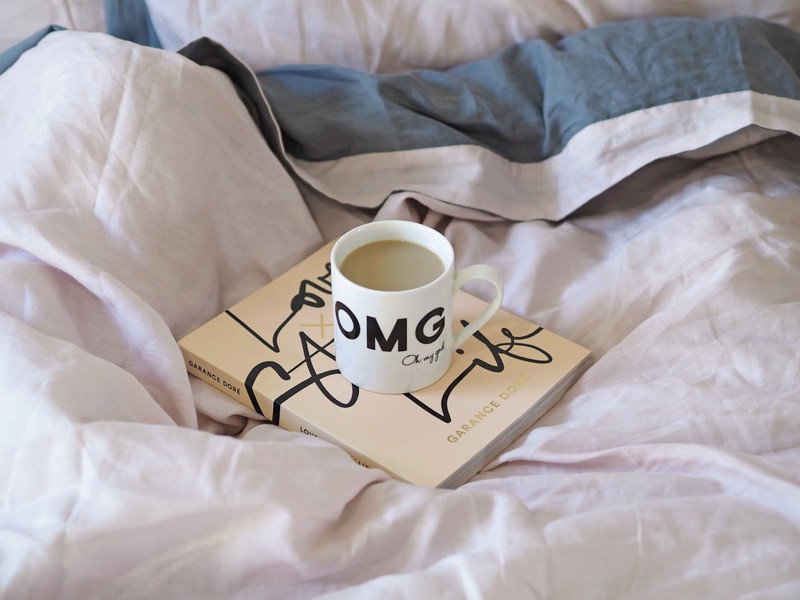 Not getting enough sleep can make an awful impact on your mental wellbeing and if you lacking a simple bed routine. There are few things you can do to improve your sleep quality so you can sleep to a better health. If you have read my previous post about Girl’s guide to the property ladder you know, I am now saving up for my new apartment now. I started thinking of how I want each of my rooms look like, and I started saving brands and products I love. I want to share my inspiration with you as well. 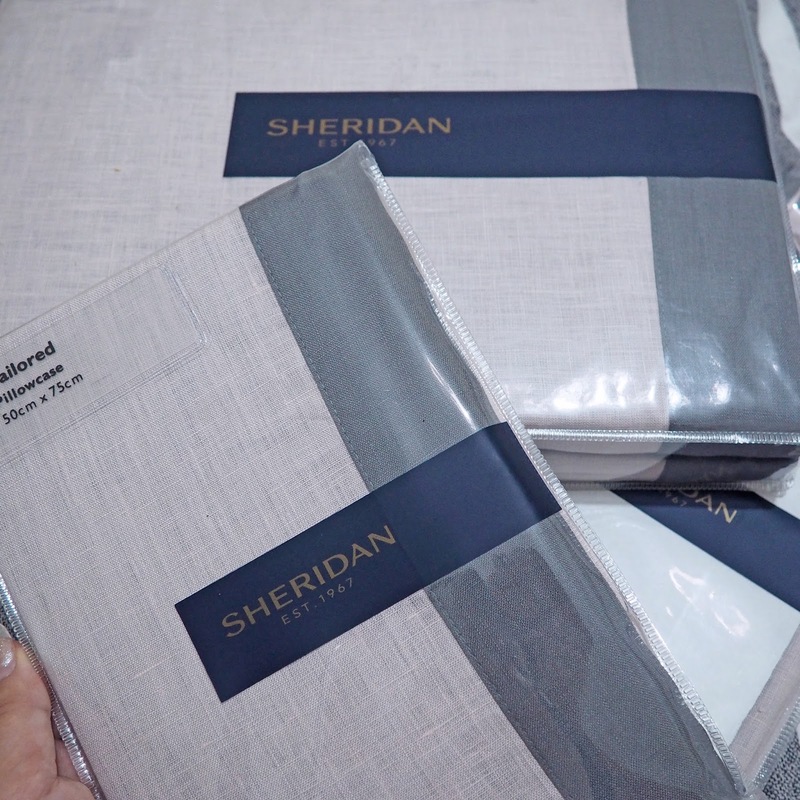 I recently was gifted Sheridan Australia 100% linen sheets. I can’t even express how happy I am with these. The quality of the sheets is beyond my expectations. I was worried, it will be too warm, but nothing even close to it. The temperature was just right. The bedding feels very soft, yet crispy it reminds me the nights I was staying over at my grandma! Such an amazing! I have already washed this bedding 5 times and if you follow me on Instagram, you probably noticed it’s been constantly in my background photos. I was worry that the texture may change after wash, but the quality stayed exactly the same. 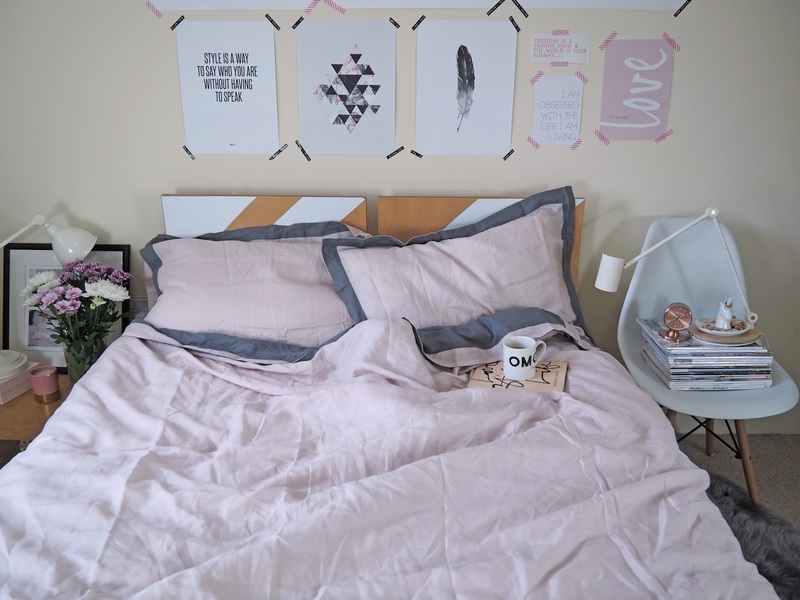 Linen naturally becomes very creased, so it may not be a good idea for those who iron beds for a perfect look, but I personally love this beautiful mess! Right, back to the subject and How to sleep to a better health ! 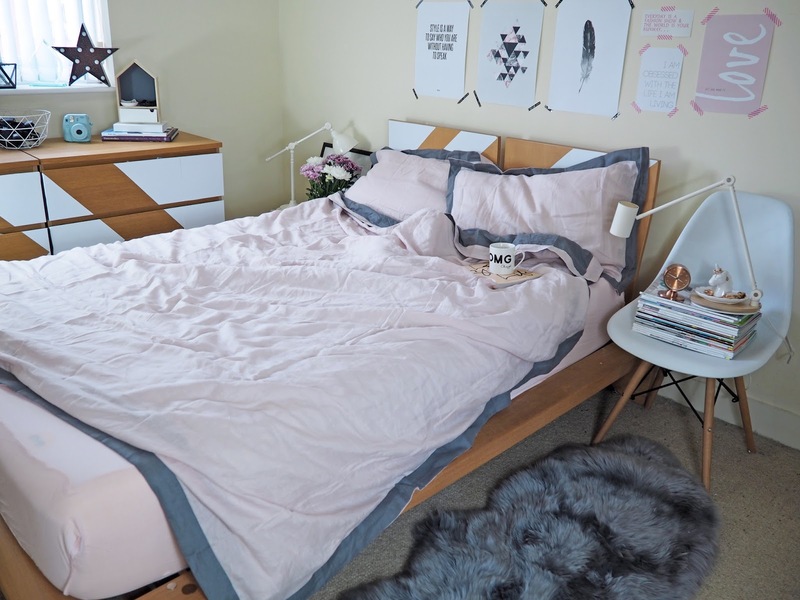 However, If you are after a storage bed and pocket sprung mattresses then go and check Button and Sprung range, as I was browsing through last night and just love it. Especially the pastel range. You know me! These are hand-made beds with beautiful choice of headboards and bed styles. Also, you can buy with your peace fo mind as they offer 100 nights free returns plus they will remove you old mattress as well. You can also choose from loads fabrics from plush velvet, soft wood to even a brushed cotton from companies like Romo or designers Guild etc. The company offers a free delivery within 65 miles as well. They really stand out with beautiful bed designs within a very reasonable price tags! Also, they have a great London showroom, that you can just simply go and try yourself. 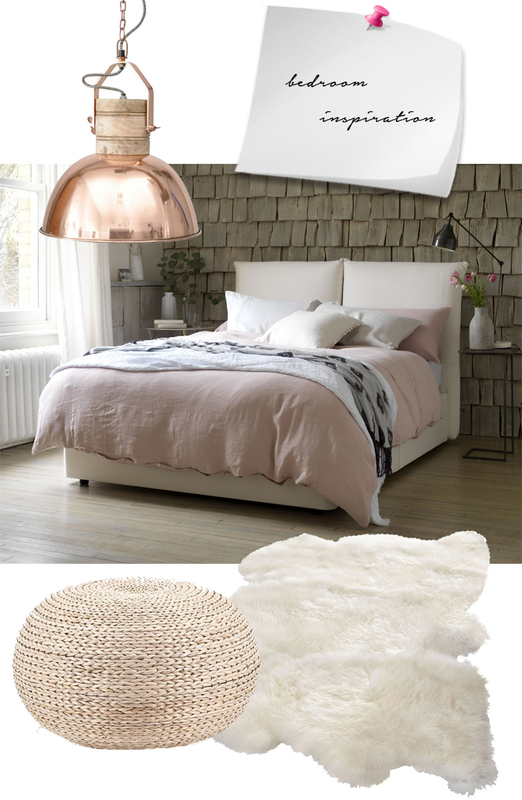 Button and Sprung bed with a pastel pink walls -cute! Unless you take some time to unwind before you head to bed, you may struggle to get yourself in the right frame of mind to sleep. So, to make sure that your body is prepared for sleep, it pays off to set yourself a bedtime routine. You might find it useful to do something relaxing, such as having a warm bubble bath or listening to some calming music. 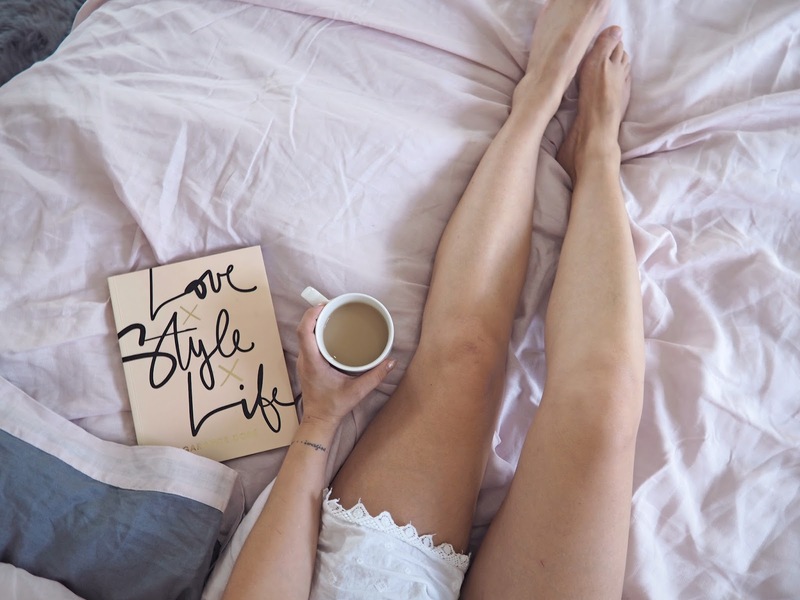 Scheduling in some much needed ‘me time’ before you slide between the sheets is guaranteed to help you nod off. Make sure, that you make all your next ‘’to do’’ list before you go to sleep and tidy up around you. Clean environment and a set plan for next day, will help you to fall asleep without that worried feeling and sleep to a better health. Sticking to a healthy, balanced diet is a must, but did you know the foods you choose to eat before you hit the bed, can have a huge impact on your ability to sleep well? Ahead of bedtime, you should avoid consuming a rich, heavy meal, steering clear of foods such as chocolate, cheese, pork and potatoes. These types of foods contain tyramine – an amino acid which the brain converts into a stimulant, leaving you feeling alerted. Instead, you should munch on healthy snacks, such as eggs, bananas or yoghurt. Not only should these treats help you snooze, but they’re much healthier options too. Aside from being great for your overall health, you could try taking part in some gentle exercise before you head to bed. Doing some physical exercise of an evening will help tire you out, making it easier for you to drift off. However, be careful not to over do it – too much strenuous activity could have the opposite effect, making you feel too awake to fall into a peaceful slumber. So, whether you decide to go for a leisurely stroll or do some low-intensity yoga, your body should be ready for bed by lights out. I use simple Yoga from an app you can download on your phone. It’s super easy! Making a few bedtime changes could help you feel happier, healthier and better rested. There are so many factors, that align for your quality sleep. It’s the routine, the food but also the right bed and even bed sheets. Make sure, you have all these organised and you can snooze until the buzz! 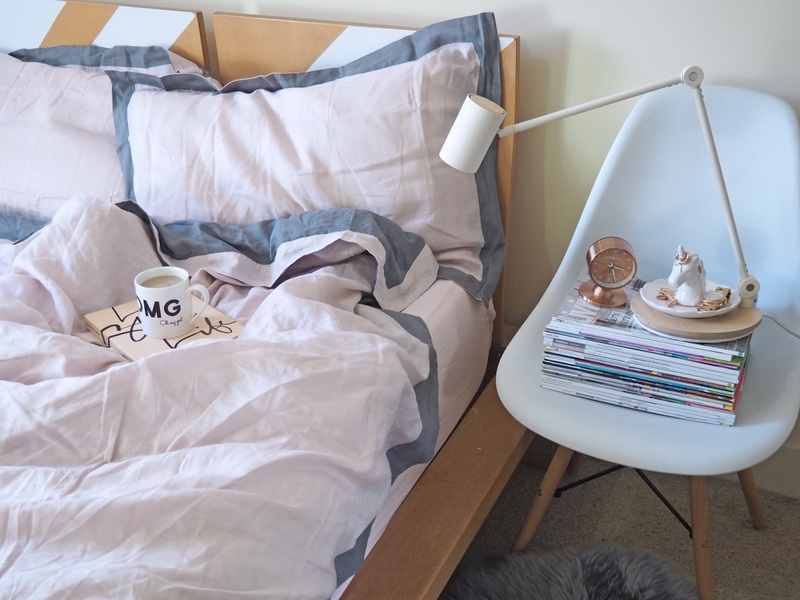 I have previously, written posts about bedrooms, so you can have a little read. 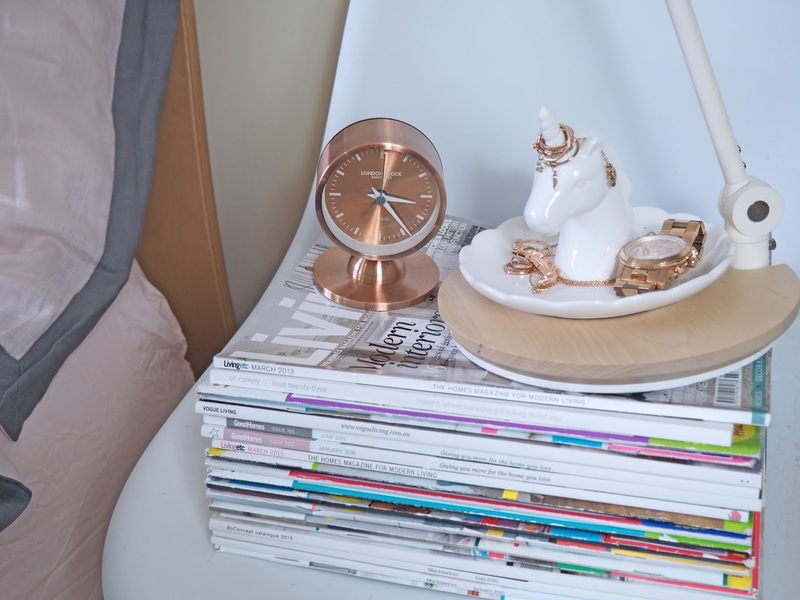 After this post, read Smart styling bedroom tips to help you sleep better and don’t miss 5 bedding hacks you need to know. Definitely agree with all the points made here. I feel like sleep is the #1 most important thing for well being. It affects everything! I feel like, as silly as it sounds, since purchasing new bed sheets and duvet set etc, I've fell in love with hitting my bed that much more. I've created a nice space to sleep in. Unlike before, I simply thought as the bedroom as the least important place because I just thought 'well, only I am going to see this so why bother'. Great post. Also, I've fallen in love with your blog! That's so true it can impact your well being. I discovered it the hard way after having children. A comfy bed and nicely organised bedroom helps.